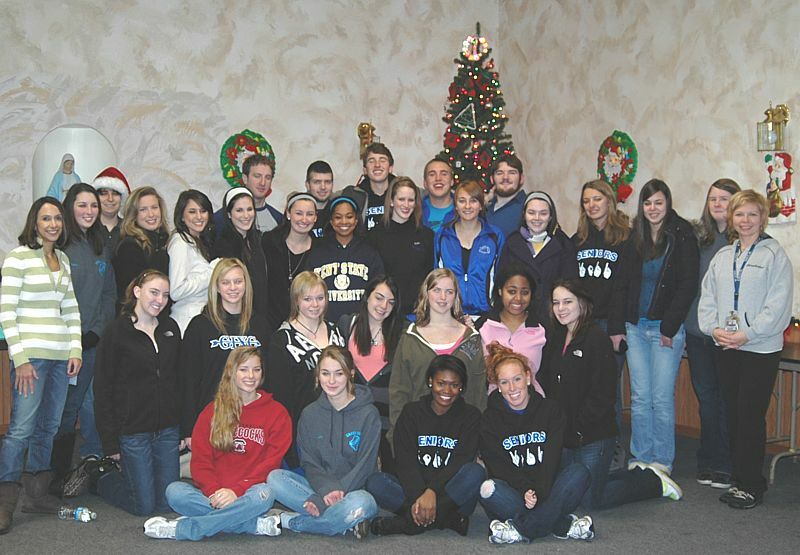 The Grand Island High School DECA Club has been sorting food for the Grand Island Neighbors Foundation at Christmas time since the 1990's. Interact Advisor Laura Briganti began the tradition a few years ago with her students, and Mr. Robert Simpson and his Student Council students joined this year. According to DECA advisor Cheryl Chamberlain, "Bringing three service clubs together for the Grand Island community is wonderful!" In addition, donations filed in from the GIHS School Store - Casey's Corner, The Grand Island High School Dress Down Fund, and Student Council. Hank Kammerer from the Neighbors Foundation accepted the donations and was equally as happy for all of the assistance from the Grand Island High School students! The sorting was held at the Knights of Columbus on Tuesday, December 21st. 45 families were helped this year. Click "Sports Briefs 12/23/10" for this week's Grand Island High School sports scores. 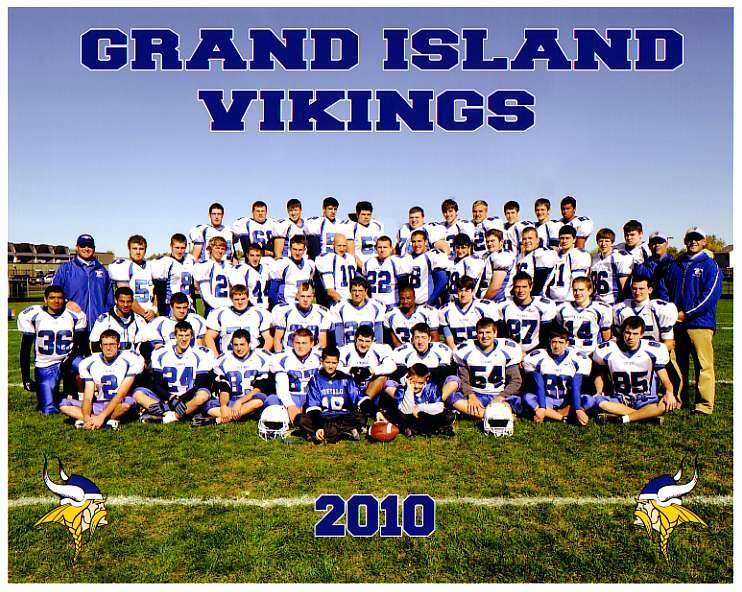 Click "Sports Briefs 12/16/10" for this week's Grand Island High School sports scores. Click "Sports Briefs 12/9/10" for this week's Grand Island High School sports scores. Click "Sports Briefs 12/2/10" for this week's Grand Island High School sports scores. Scoop: Led Grand Island to a Class A and second straight Niagara Frontier League title. Took the tape at the NFL Championships with a 17:06, finished second at Section VI Championships, running a 17:40.60 and qualified for States. Vikings have gone 28-0 in last two seasons. 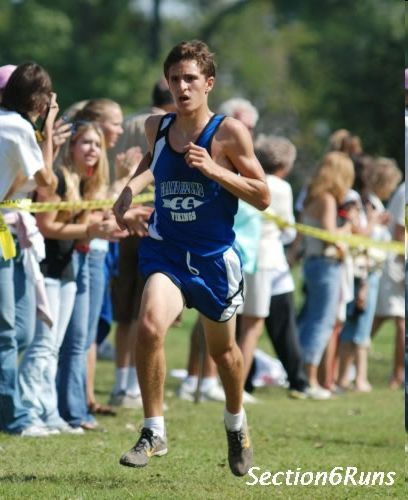 BIG STRIDES: Grand Island High School cross country runner Nick Masiello is the Niagara Gazette Player of the Year. 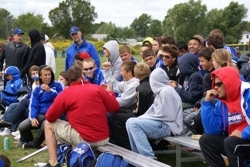 The senior won the NFL Championships and finished second at the Section VI meet at Elma Meadows. The Grand Island School & Business Alliance hosted a fundraiser basketball game between the Buffalo Sabres Alumni and the GI schools faculty and staff on Tuesday, November 16th. The Sabres team featured Richie Dunn, Morris Titanic, Yuri Khmylev, Mike Boland, Ric Seiling, Derek Smith and Rob Ray. There were 20 players on the teacher/faculty squad, made up from many gym teachers and coaches, along with sport enthusiasts. The game was quite comical, in a Globetrotters kind of way. The two referees were over 7 feet tall and ended up being ringers, who came into the game for the Sabres in the last minutes to win the game. The proceeds of the game and raffles are to support GISBA activities including Corporate Bowl, Job Search and Shadow Day. Grand Island High School is the first high school in Erie and Niagara county to partner with Honor Flight Buffalo (HFB). HFB was presented a check by Mr. Kevin Murray, coordinator of Dress Down Fridays, in which money collected goes to help numerous charities on behalf of the faculty and staff of GIHS. At a special assembly on November 10th, the Orchestra and Choir participated by performing patriotic selections. Alan Lee and Dan McMahon from the Charles N. DeGlopper Memorial VFW Post 9249, presented the five w's on the importance of remembering Veteran's day. Charles Dunkle gave an overview on HFB and the service they provide veterans. Mr. Dunkle then did a question and answer period with Mr. Norman Hamister, a Navy See-Bee who served in WWII from 1942-1946. Mr. Hamister explained how he quit school to serve his country, the conditions he endured and how happy he was to see the younger generation interested in his story and the many others like his. Approximately 120 ninth grade English students, under the direction or Mr. Tom Gorman, presented letters and a video montage to retired Colonel Jim Germain, who was forwarding them to the troops in Afghanistan. In both formats, students described what freedom means to them. After seeing the emotional reaction from the student body, faculty and staff, it was decided that it would be a worthwhile pursuit to mass produce the montage and distribute it to service personnel overseas. "Through the generosity of the Sheridan Drive and Galleria Best Buy stores, we were able to secure 300 DVD-Rs and are reproducing the video for shipment in time for the holiday season," Kristine Bajdas, assembly coordinator, said. Colonel Timothy McCoy, Mission Support Group Commander at the Niagara Falls Air Reserve Base, did a presentation comparing schools in the United States and those in Central America. Parent/Teacher Conferences will be held on Monday, November 29, 2010 in the High School from 12 p.m. to 3 p.m. and 4 p.m. to 7 p.m. Teachers will be in their rooms � a list of room assignments will be posted. Appointments are not necessary. 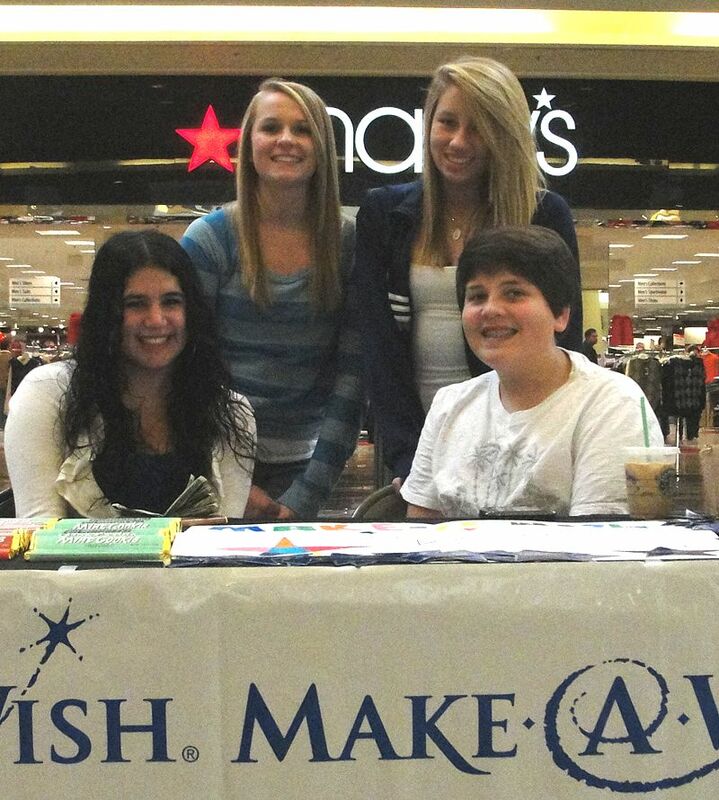 Members of the Grand Island Venture Yearbook staff spent two days at the Walden Galleria Mall selling stars and candy bars for the Make-A-Wish Foundation of Western New York. Students sold magnetic stars and paper stars which will be hung in the high school large cafeteria. 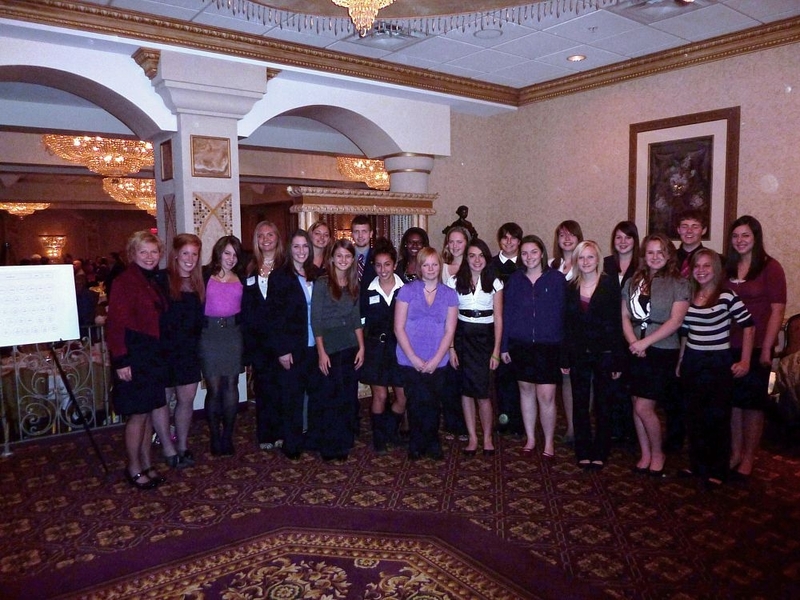 Students who volunteered their time included Bridget Kennedy, Courtney Collignon, Alexis Cino, Alicia Zartman, Grace Kulikowski, Courtney Czajka, Melanie Perla, Alexa Territo, Kathleen Rustowicz, Nikki Scerra, Marina Scerra, Sydney Quarntello, Kristi Kalman, Alyssa Heitman, Lexi Kalinowski, Jessica Cieri, Joey Halpin, Vinny Malpica, Lexi Malpica, Cody Smith, Catherine Navagh, and Shannon Robillard. Special recognition goes to sophomore Dan Rott, student liaison to the Make-A-Wish Foundation, who is the yearbook fundraising chairperson. He spent the entire day on Saturday selling items. The staff members raised over $400 dollars in the bid to send a wish child on his/her wish vacation with his/her family. Both paper stars and magnetic stars will be available from Mr. Simpson, Yearbook Advisor, at the high school or the Venture Yearbook staff will accept a donation on your behalf and your name in the patron section of the yearbook. Dan and Linda Stinson of Live, Love, Laugh Ministries held the annual "Fall Festival" at Conner Middle School on November 4th. This after school program featured pumpkin bowling, pumpkin bocce, and a pumpkin launch and was assisted by trained mentors from Cheryl Chamberlain's internship classes. Fall Festival is a safe alternative for Connor Middle students and other programs are being planned for the near future. The annual NHS Spaghetti Dinner fundraiser will be held on Friday, November 12 from 5 to 7 p.m. Adult cost is $7 and children 12 and under, $5. The price includes dinner, a beverage and dessert. Take out is also available. The dinner is being held in the high school large cafeteria. This is a great time to enjoy dinner and a show (Spotlighters present Fall play, Into the Frying Pan). 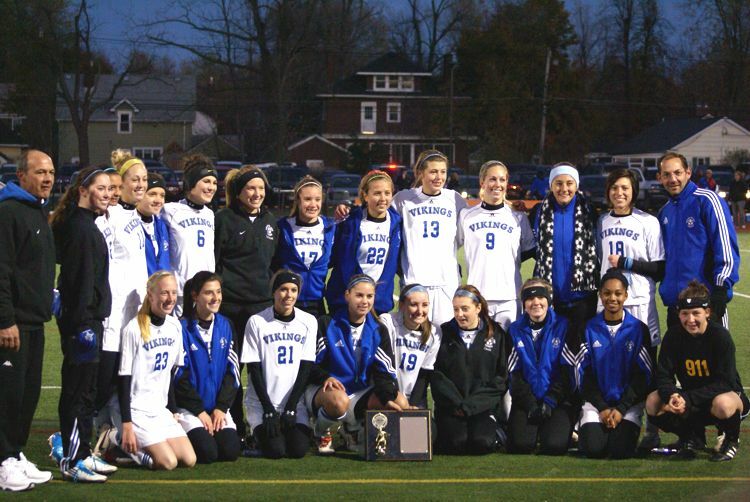 The Lady Vikings beat Starpoint in the Class A championship game on Saturday, Nov. 6th by a score of 2-1. They are now 19-0-1, heading into the Far West Qualifiers. The Regionals game will be on Saturday November 13th, 4:30 pm at Genesee Community College where the ladies will take on Pittsford Mendon. The team welcomes their fans to join them and cheering them on to States! Help support the high school band & orchestra by purchasing oranges and grapefruit fresh from the Florida Indian River Groves. Orders and payment are due by Monday, Nov. 15th. See information sheet for details. Salvatore's Italian Gardens was the setting for the annual DECA Installation Dinner for students from over 15 WNY Schools. DECA is a very active business and marketing club with state and national rankings. The Grand Island High School Chapter boasts over 60 members who will compete in business areas such as Job Interview, Hospitality, Management, and Advertising. The continued success of DECA at Grand Island is due in part to advisors Cheryl Chamberlain and Christopher Simpson and their focus on DECA co-curricular lessons within the business classes at Grand Island. 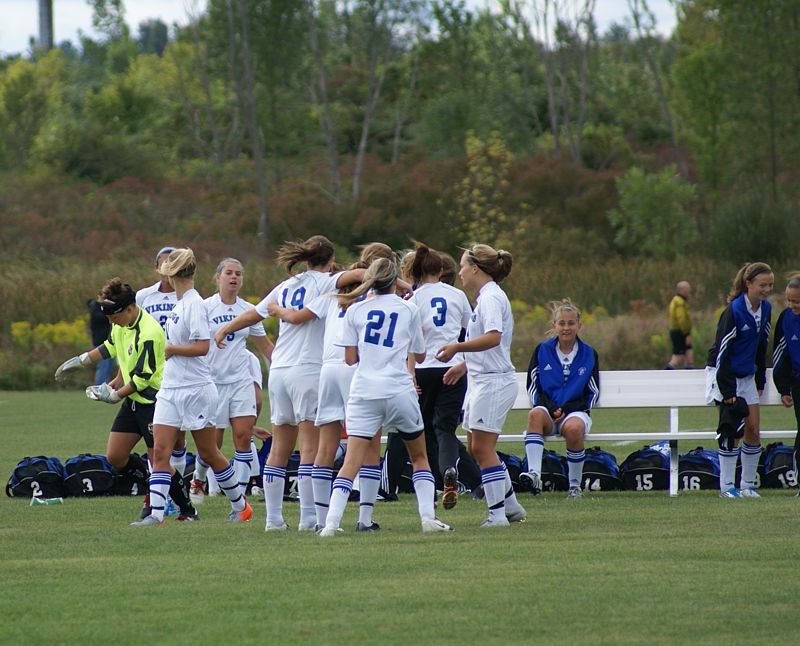 Lady Vikings soccer team headed to Class A Championship. Saturday, November 6th at 4pm, Amherst High School. 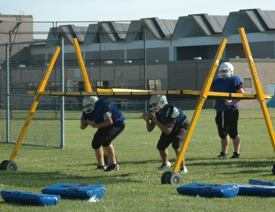 Click "Sports Briefs 11/4/10" for this week's Grand Island High School sports scores. The goals have been well-defined. First, Grand Island girls soccer coach Dave Bowman said his team wanted to capture the Niagara Frontier League title. With all-state striker Jenna Raepple leading the offensive attack and unheralded junior Jodi Lee solidifying an already potent defensive corps, the Vikings did just that, marking the 10th finishing undefeated, a hurdle they cleared with a sterling 13-0-1 record. Next up on the team's checklist, Bowman said, is to capture the Section VI Class A crown, a quest that begins today when the Vikings kick off the postseason by hosting Lake Shore in a prequarterfinal. The playoffs started on Monday, with a few qualifying games - Lew-Port captured one in Class A - but the playoffs begin in earnest today. Bowman knows his team in heavily favored this afternoon and will be so through the Class A final on November 6 at Amherst High School, but he's not worried about his team's approach. "They've had a small goal every step of the way and they've done a great job staying focused and accomplishing those goals," Bowman said. "We might be playing a lower-seeded team in the first round, but we need to go out and play our possession game and communicate the way we have, making our opportunities count." While Raepple, Brooke DeMarco, Jeannie Taylor and goalie Stephanie Senn get many of the headlines, Bowman said Lee's emergence has helped his team become more well-rounded and deep. "Jodi has stepped up and far exceeded my expectations," Bowman said. "She's just taken charge of our defense. And that's allowed me to use somebody like Taylor - who has a lot of all-around talent - and it lets me move her around the field. Jodi reads the game extremely well. And she's given me a comfort level back there." The Vikings aren't the only local team with high hopes heading into the postseason. 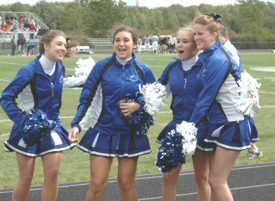 . .
Click "Sports Briefs 10/21/10" for this week's Grand Island High School sports scores. 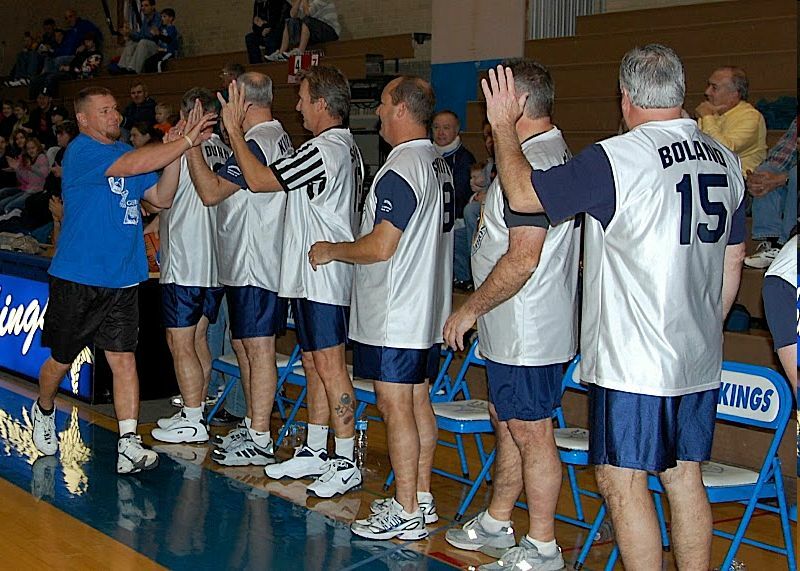 The Grand Island School & Business Alliance (GISBA) presents the Buffalo Sabres Alumni vs. the Grand Island schools faculty and staff basketball game. The game will take place on Tuesday, November 16th at the GIHS gym, 1100 Ransom Road, tip off at 7 p.m. Tickets are $5.00 presale and $7.00 at the door, but there is limited seating, so get your tickets early. See order form for details. The Lady Vikings Soccer team celebrated their final home game on Monday, October 18th, with a tribute to their Seniors and a big 3-0 shut out against Lockport. With one final game to play at Niagara Wheatfield on Thursday, October 21 at 4:30, the ladies are 14-0-1 this season! 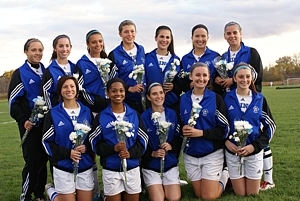 GIHS 2010 seniors on the team are Alaina Pariso, Jess Yarnes, Meghan Tates, Brooke DeMarco, Sara Victor, Allison Kaminski, Jenna Raepple, Jess Osvath, Jeanne Taylor, Chelsea Mazurkiewicz, Danielle Wegryzn, and Amanda Cinelli. A special thank you to the fans and families who have cheered them through this season. Please join us in continuing to cheer our ladies through Sectionals!! 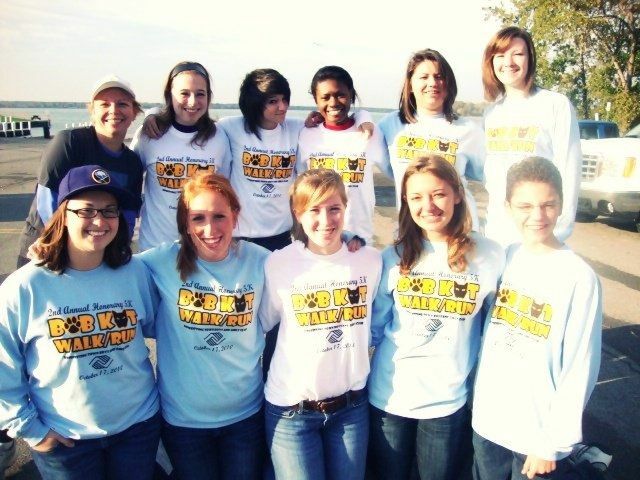 Ten Grand Island students woke up bright and early on Sunday, October 17th to volunteer for a 5K race to honor longtime Town Boys and Girls Club director, Bob "BobKat" Nowak. This is the second year for this growing family gathering at the foot of Sheridan Drive and it raises money for a very worthwhile cause: the youth of the Town Boys and Girls Club. Race director and Grand Island resident Scott Henderson would like to thank the volunteers and runners for their continued generosity and hope that this event continues to grow each year. 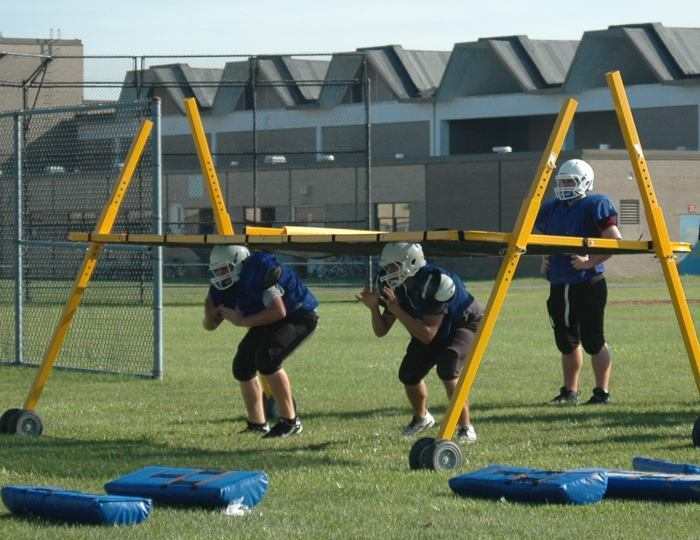 Click "Sports Briefs 10/14/10" for this week's Grand Island High School sports scores. See Christian Gibson for story by Ryan Nagelhout - Oct. 13, 2010 Niagara Gazette. The Grand Island High School Boys Volleyball Team will host a volleyball tournament beginning at 9 a.m. Saturday, October 23, 2010 at Grand Island High School. The parents of the players will sponsor the food/refreshment portion of this event. The community is urged to come out and enjoy the competition and take advantage of the concessions (breakfast pizza, pizza, coffee, hot chocolate, orange juice, donuts, sandwiches, subs, soup, chili, chowder and much more). The tournament committee is seeking donations from local businesses and would welcome monetary donations and/or product specific donations such as breakfast pizza, pizza, coffee, hot chocolate etc. All proceeds from the volleyball tournament will be used solely to support the Grand Island Boys Volleyball Team. To make a donation, contact parent representative Ann Bolton at 773-9223 or 418-2107 as soon as possible. You may mail monetary donations to 3464 East River Road as soon as possible. 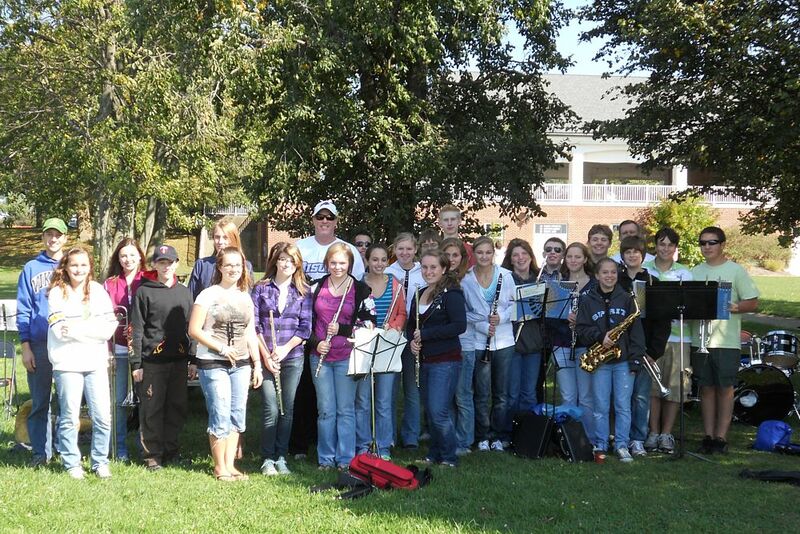 "We would love to have you join us at this event to cheer for our hometown youth," Mrs. Bolton said this week. See Aaron Schauger for story by Ryan Nagelhout - Oct. 10, 2010 Niagara Gazette. See Tyler Hinamin for story by Ryan Nagelhout - Oct. 7, 2010 Niagara Gazette. 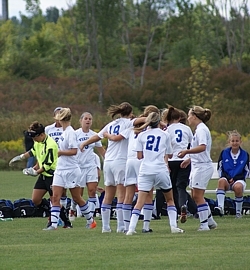 Click "Sports Briefs 10/7/10" for this week's Grand Island High School sports scores. 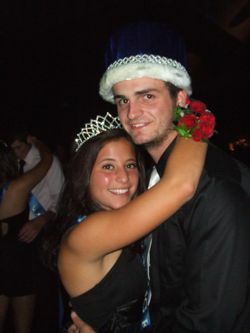 Left: King Geoff Federspiel and Queen Beth Cinelli. 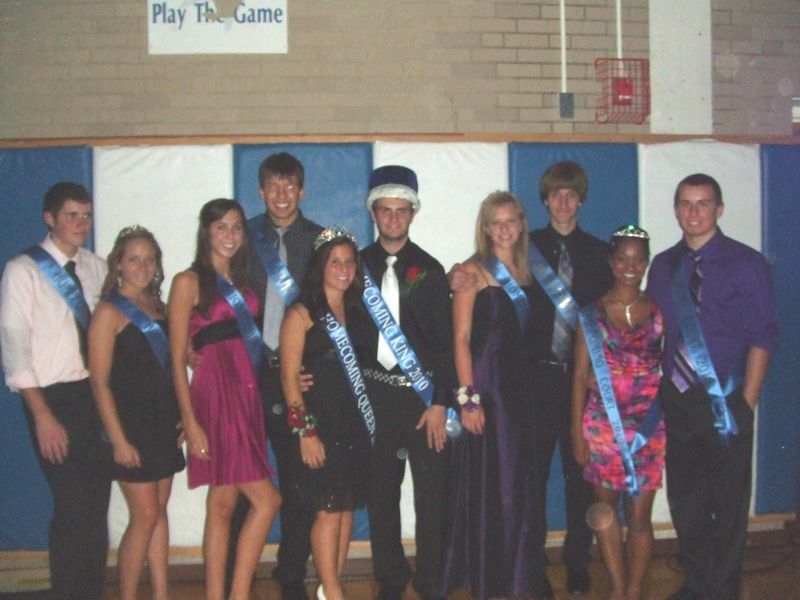 Right: Court: Rob Petrilli, Alaina Pariso, Kelly Lorence, Steve Vitello, Beth Cinelli, Geoff Federspiel, Brooke Chamberlain, Nate Beyer, Jeannie Taylor and Ben Tomkins. 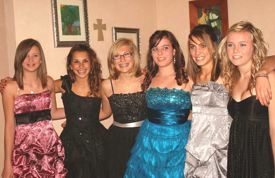 The Grand Island High School Homecoming dance was held Saturday, October 2nd in the high school gym. The dance was sponsored by the GIHS Student Council and was attended by over 650 students. Homecoming King & Queen were Geoff Federspiel and Beth Cinelli and their court consisted of seniors Rob Petrilli, Alaina Pariso, Kelly Lorence, Steve Vitello, Brooke Chamberlain, Nate Beyer, Jeannie Taylor and Ben Tomkins. We are happy to post your Homecoming photos. Grand Island High School celebrated Spirit Week from Monday, September 27th - Friday, October 1st, 2010. 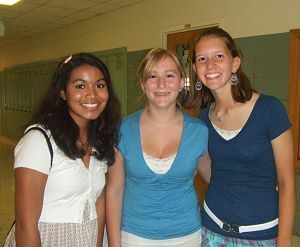 Each day was a designated dress-up day, Harry Potter Day, black & white day, mis-match/toga(for the seniors) day, class color day and culminating in blue/white for the pep rally. The school spirit is amazing at Grand Island High School. Check out the following slideshows for a glimpse. 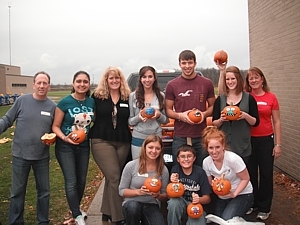 See Kayla Pyc for story by Ryan Nagelhout - Oct. 4, 2010 Niagara Gazette. 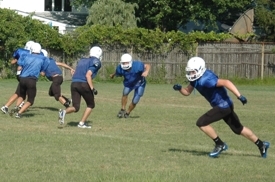 Click "Sports Briefs 9/30/10" for this week's Grand Island High School sports scores. The GIHS class of 2012 is having a blanket fundraiser. The heavy, fleece blanket is 50" x 60", features the Vikings logo and is $40.00. If you are interested, print out the form and mail to Amy Kessel c/o the GIHS, 1100 Ransom Road. Order by Nov. 1st, all proceeds go to help cover prom costs and senior activities fees. 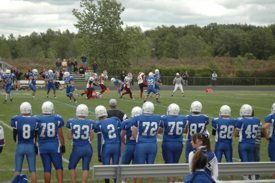 Click "Sports Briefs 9/23/10" for this week's Grand Island High School sports scores. Students from the Grand Island High School Band and DECA volunteered their time on Saturday, September 18th at the Every Step Walk sponsored by the Hunter's Hope Foundation. The students also received an unexpected surprise by meeting Hall of Fame and former Buffalo Bills quarterback, Jim Kelly. The Every Step Walk is a national walk to educate our country on the inequality of Newborn Screening from state to state. 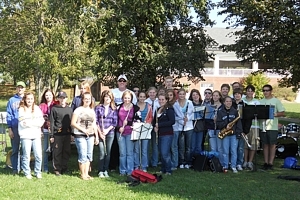 The band played the National Anthem and other musical selections for the walkers, while student's from DECA volunteered their time to help setup, serve, and clean up after the walk. 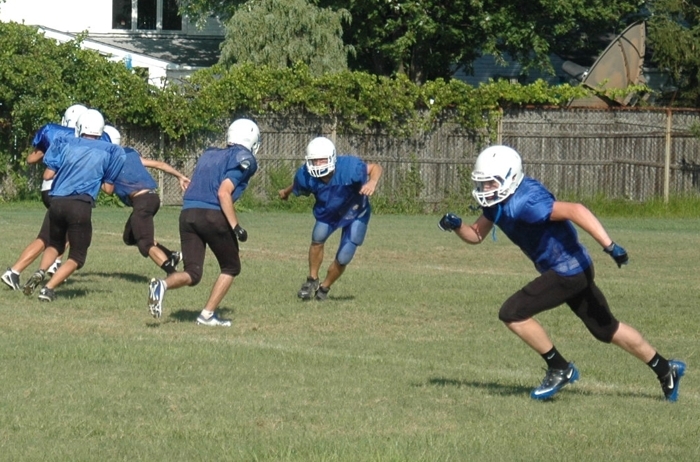 Click "Sports Briefs 9/16/10" for this week's Grand Island High School sports scores. 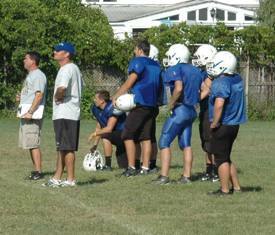 Click "Sports Briefs 9/9/10" for this week's Grand Island High School sports scores. The GIHS Ladies Viking Soccer Team posted a win in their first game of the season, against Rochester's Aquinas Institute, on Saturday morning, Sept. 4 at GIHS. The match was well attended by family and friends rooting our Lady Vikings to victory! A beautiful set by Katlyn Holt to Sara Victor resulted in a 1-0 win in the second overtime, and provided goalkeeper Steph Senn with a shut out for her first Varsity start in net. The next match, against rivals NT will be Thursday evening at North Tonawanda, under the lights. 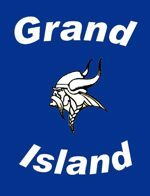 Grand Island High School will hold its annual Open House on Thursday, September 16, 2010 from 6:15 to 8:30 p.m. Parents will be given schedules in the Viking Mall starting at 6:15. Parents follow that schedule which provides an opportunity to meet with each teacher for 10 minutes and gain an overview of the curriculum for that subject area. 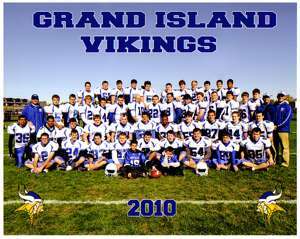 The Grand Island Viking football team won their first game on a cold, blusterly day at Master's Field, Saturday, September 4th. Senior quarterback Tom Dzielski was 9 of 20 for 203 yards and two touchdowns. Nick Kellner caught two touchdown passes and completed six catches for 175 yards. Pat Gallagher had a touchdown and rushed for 134 yards on 19 carries. Defensively, Scott Rogers had a great game making eight tackles, blocking a punt and recovering two fumbles. Ben Tomkins had 11 tackles and a 62 yard interception for a touchdown. The next game is against Williamsville South at home, Saturday, September 11th, 2:00 p.m.
Over 30 students volunteered on Tuesday, August 24th for the New Student Orientation night at Grand Island High School. The incoming class of 2014 enjoyed a hotdog barbeque before being presented with the rules of Grand Island High School by staff and students. The volunteers are current seniors, juniors and sophomores who gave their advice to the incoming students about what life is like each day as high school students. Vice Principal Mr. Jerry Parisi organized the orientation and was impressed by the overwhelming response of volunteers coordinated by Mrs. Cheryl Chamberlain. September 4, Niagara Wheatfield, 2 p.m.
September 11, Williamsville South 2 p.m.
September 17, McKinley played at Riverside, 7 p.m.
September 25, at Starpoint, 2 p.m.
October 2, Williamsville East, 2 p.m.
October 9, Sweet Home, 2 p.m.
October 16, at Kenmore East, 2 p.m.
Late in the sweltering, hot afternoon on Saturday, August 14th, the talented artistic team representing Grand Island High School took First Place honors at the 2010 Chalk Walk competition at the Lewiston Art Festival. This year's theme was Unity in Diversity and had to be in a graffiti style. 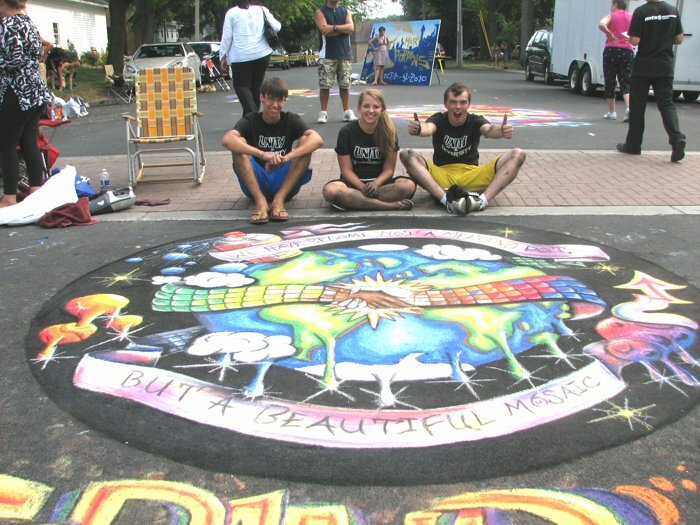 Alissa Bailey, Jason Chadwick and Sean Burke produced a fabulous, brightly colored, clean, graffiti-influenced design while literally hopping from wet towels to mats to keep their feet from burning on the blistering pavement. Taking frequent refreshment breaks in order to stay hydrated, the team completed the 9 foot circle drawing in little over 3 1/2 hours. Although exhausted at the end, the team was excited and extremely pleased with their accomplishment. The judges agreed and the blue ribbon was awarded to the Grand Island team as the crowd cheered their victory! Jimmy Carter once said, "We have become not a melting pot, but a beautiful mosaic" Diversity is vital to society. It enhances the beauty and uniqueness by giving a new breath and breaking the normal societal acceptance. Different people, different ideas, different viewpoints and different dreams create a diverse globe. If we are able to achieve unity in these diverse yearnings, we can make the world a better place. Our chalk drawing emphasizes the world with Jimmy Carter's quote on a banner which gently drapes around the world. Midway in the banner, it morphs from a mosaic pattern of many colors into conjoining hands of different colors as it wraps and hugs more closely around the world. Diversity of the color makes an immediate striking image. The banner also twists around a spray can which is spreading color onto the world representing all our individualities. Indulging in diversity allows our world to enhance itself and allow a kaleidoscope of people's thoughts and ideas to bring upon positive change and results. The Grand Island High School Book Store has been renamed Casey's Corner School Store! Casey's Corner, named after the late George Casey beloved school board member, will be open during the last week in August for new students and parents. The store is fully stocked with new spirit wear products and will have a limited quantity of last minute school supplies. 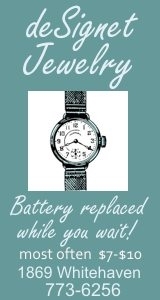 The store will be open during the school year from 1-3 p.m. daily and by appointment. 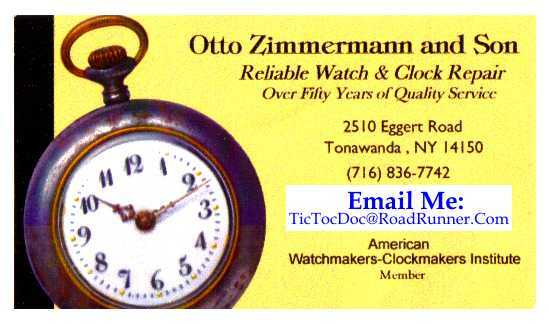 Please contact Mrs. Cheryl Chamberlain, store advisor, with product inquires at 716-773-8820. The GIHS JV & Varsity Football teams will be out selling their Viking Discount cards as their team fundraiser, on Wednesday, August 25th. The team members will be going door to door from 6:00 p.m. - 8:00 p.m. 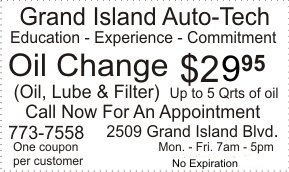 The discount cards are good at island and off-island businesses and are $10.00. Proceeds go to new equipment, jerseys and end of year banquet. On Saturday, August 14th, Grand Island High School will be sending three talented artists to compete in the 26th Annual WNY High School Chalk Walk Competition being held in conjunction with the Lewiston Art Festival. Proudly representing the team this year are returning members Alissa Bailey and Jason Chadwick and newcomer, Sean Burke. The many practices in the hot, humid heat on top of the asphalt allowed the members to fine-tune details, further develop the composition, perfect individual skills and unite as a strong team. This year's theme is: Unity in Diversity and it has to be completed in graffiti style. The format is a nine-foot diameter circle which is a departure from the 8' x 10' rectangle. 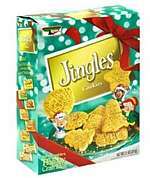 The contest begins at noon and ends at 4:00 p.m. with judging immediately following. Please support the arts and come watch this team draw! 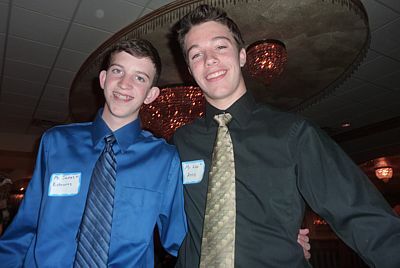 Click on the link to see the Grand Island High School class of 2010 scholarship winners. 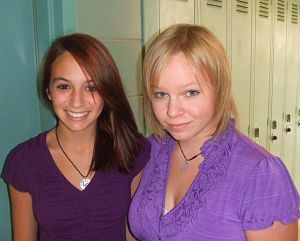 Click and scroll down for "Buffalo News 6/29/10" story by Mary Jo Monnin. Named rookie of the year in 8th grade, Alex Brown has quietly moved up the ladder in sports at Grand Island High School. 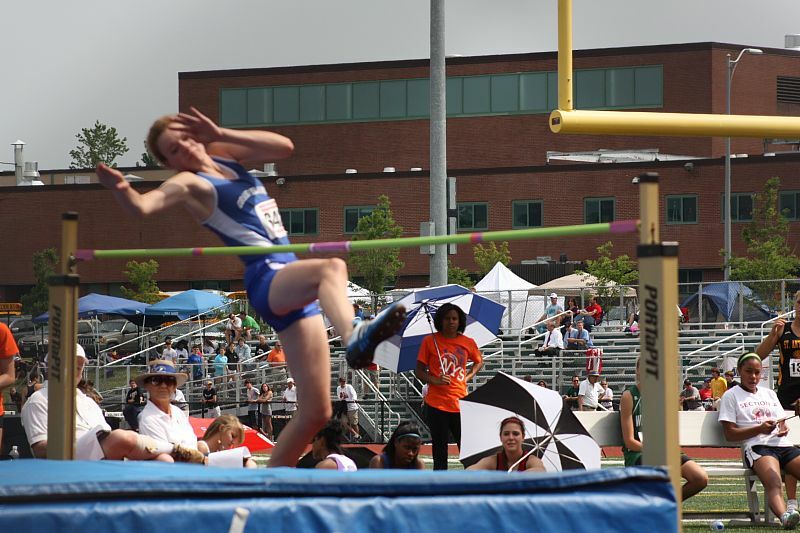 Just completing her freshman year, she broke the ninth grade high jump record at 5' 3", tied the 30-year high jump record held by Laura Lewis at 5'3", was first in NFL's and placed second in Section 6 Sectionals. She was named to the 1st Team NFL All Stars both years. 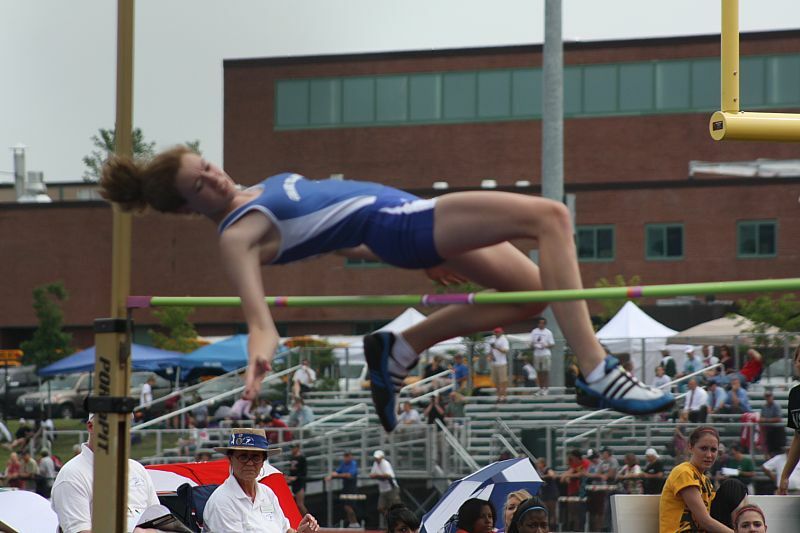 In the most recent competition on June 12, 2010, Alex placed second in Section 6 with a jump of 5'3" and tied for sixth place in the New York State PHSAA Championship for Track and Field at 5'2". 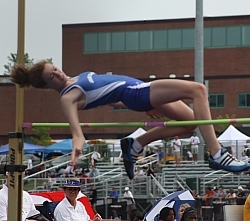 Alex was the only member of the GIHS Track Team to qualify for the NYS competition. 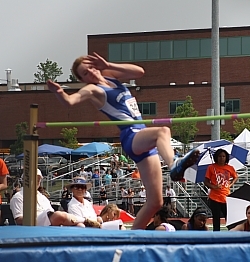 As an 8th grader Alex placed first in the Niagara Frontier Track League and third in Section 6 Sectionals. Alex has also excelled in volleyball. As a ninth grader she started on varsity as the middle blocker contributing to a second place finish in Section 6 Sectionals. When the school volleyball season finished, Alex tried out for a national volleyball team and made it as a middle hitter/blocker traveling all over the country. Her team made the playoffs and she will finish this year off at the end of June on a trip to Reno, Nevada where the national playoffs are being played.